The Logan Square Auditorium is located in Chicago, IL. This picture was submitted by DB. 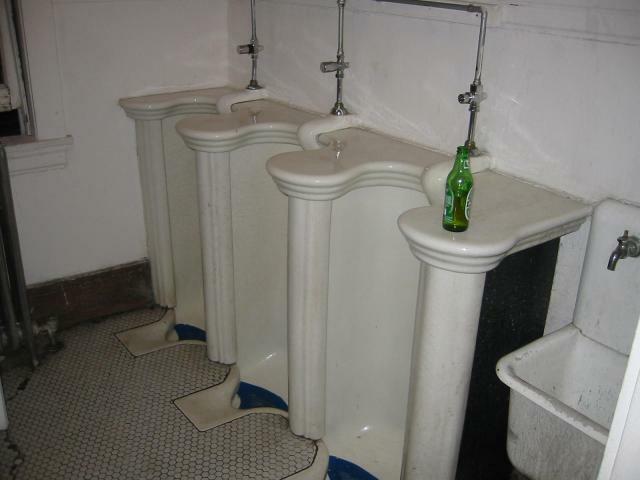 He writes: "This unusual, and very loud, relic of a urinal is located in the upstairs men's room at the Logan Square Auditorium in Chicago. The photo was taken during a Halloween bash in 2002".